Child model for her amateur lensman father; Vogue cover girl; Man Ray’s Surrealist muse: It’s hard to imagine a woman of her era more photographed than Lee Miller. But as this retrospective demonstrates, Miller was also a serious imagemaker in her own right. Whether by fluke or by reaction formation, the four photographers who learned their trade in Man Ray’s atelier—Bernice Abbott, Bill Brandt, Jacques-André Boiffard, and Miller herself—all abandoned his experimental approach for straight photography. Of the 140-odd images in this exhibition, which date from the late 1920s to the early ’50s, by far the most arresting are those Miller shot as the only female photojournalist on the front during World War II—as a correspondent for British Vogue. Travels to the Philadelphia Museum of Art, Jan. 26–Apr. 27, 2008; San Francisco Museum of Modern Art, July 1–Sept. 21, 2008; Jeu de Paume, Paris, Oct. 13 2008–Jan. 11, 2009. Frida Kahlo, Self Portrait, 1930, oil on canvas, 26 x 22". Frida Kahlo has long been subject to hagiography, a propensity abetted by her revelatory self-portraiture, her film portrayal by Salma Hayek, and her frankness about her unredeemed circumstances. (She famously quipped that she had suffered two grave misfortunes: a brutal traffic accident and Diego Rivera.) 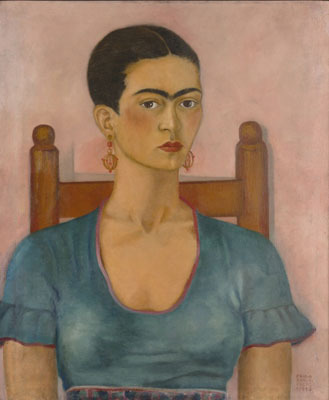 Now, on the centenary of Kahlo’s birth, the Walker, in association with SF MoMA, is organizing a massive tribute that ups the ante, bringing together roughly fifty canvases from 1926 to 1952, two years before her death, and 150 family snapshots and unseen photographs of the Mexican painter by artists including Manuel Alvarez Bravo, Gisele Freund, and Tina Modotti. What remains to be seen is whether this ambitious presentation can transcend the cult of personality. Travels to the Philadelphia Museum of Art, Feb. 20–May 18, 2008; San Francisco Museum of Modern Art, June 14–Sept. 28, 2008. 200 East Martin Luther King Jr. Blvd. Well before the lackadaisical sublime came to pervade the art of the 1990s, there was Mike, the everyman alter ego who, created in the mid-’70s by artist Mike Smith, may have been the first to inject true pathos into the pathetic. 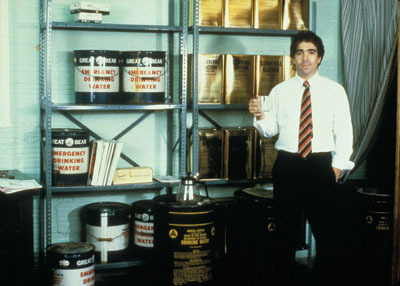 In countless videos and performances, Smith’s character has occupied a bland landscape of sitcom sets, rock ’n’ roll lighting salesrooms, and downstairs rec rooms, delivering deadpan attempts to embrace the ad-copy tropes by which most people live their lives, his demeanor blending embarrassment and Beckett with stand-up comedy. At the Blanton, a comprehensive selection of videos, installations, drawings, and artist books (many executed in collaboration with friends such as Joshua White) will chart the continuing odyssey. Travels to the Institute of Contemporary Art, Philadelphia, Apr. 24–Aug. 3 2008.